Have You Considered Raw Foods? - YeastInfection.Org by Eric Bakker N.D.
You are here: Home / Diet And Yeast Infection / Have You Considered Raw Foods? Have You Considered Raw Foods? July 11, 2013 by Eric Bakker N.D. Many people talk about eating a pH balanced diet and how it is so important to consume an alkaline and predominantly raw food diet. Raw foods, particularly raw fruits (the non-sweet varieties) and vegetables are quite alkaline, whereas cooked foods, especially proteins and sugars, are acid forming. It is important to follow a predominantly alkaline diet if you have a yeast infection, this is not because an acid rich diet will favor the growth and proliferation of a yeast infection in your body, which is a myth, but because diets that are more acid forming than alkaline make it easier for candida to move from your digestive system into your bloodstream (translocation). 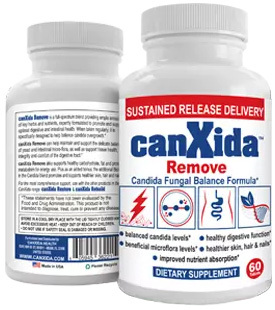 Once this occurs, candida can proliferate in this more alkaline environment and cause serious problems. Acidic diets have been linked to many chronic diseases such as diabetes, heart disease and various cancers. For example, red meat is one of the most acidic foods, and the consumption of more than 500 grams of red meat per week is now linked to a 30% increased risk of cancer. First let’s take a look at the benefits of eating raw foods in your diet, and then explore the pH issue. I have always found it strange how many foods are promoted as healthy, organic and natural – and then they are cooked, baked or even deep fried before they are consumed. Every time you cook food you will invariably destroy some of its nutritional value. Some people even see fries (deep fried potatoes) as “healthy” because they are potatoes! Remember, it’s not only about what you eat; it’s about how it is prepared, and how you eat food as well. You may well be aware of foods which are rich in antioxidants or contain other nutritional factors which confer many health benefits, but only when they are eaten in a semi-raw or raw and natural state. Take for example spinach, blue berries, avocado, bell peppers and strawberries, an example of foods packed with many kinds of antioxidants, vitamins and minerals. Researchers have found that the brighter the color the fruit or vegetable has, the more it is likely to be packed with nutrients which help to combat degenerative diseases. But what happens to their beautiful colors after cooking? They fade away like the colors of a rainbow after the rain has stopped; so by heating up and cooking these special foods we are tampering with their special protective factors. It is hard to believe how much food is consumed in the Western world, and many people eat like there is no tomorrow, but the strange thing is that we have an unprecedented situation in which many are actually suffering from malnutrition in this virtual ocean of food. That’s right, many people have become so deficient that their cells are starved and the incredible variety and affordability of foods is contributing to their chronic degenerative disease conditions by the time they reach 50 or 60 years of age. One of the best ways to resist the temptation of living the refined and junk food lifestyle is to develop a different attitude towards cooked food in general and adopt a more partially cooked or raw food lifestyle. Have you noticed how the trend in the past five to ten years has been towards the low GI diet, i.e. ; eat a diet low in carbohydrates and more in vegetable and meat proteins? Many nutritional experts are now also advocating the paleo or cave man diet, to eat vegetables and meats foods more in their natural state. Both of these dietary trends have tendency to be more on the alkaline than acid side as well, particularly if you avoid the carbohydrate and processed foods. I am personally not a big fan of an all-raw food diet and would find it boring and unappealing to eat most everything raw, but prefer instead to maintain a balance between raw, partially raw and cooked foods. Some foods are best consumed always raw, and no doubt you would be aware of this with for berries, most fruits and salad vegetables, but what about bell peppers, red onions, garlic, spinach, and a whole host of other foods you may have never tried to eat raw?